The Big Shot gun cleaning kit has everything you need to clean and take care of your guns at camp or at home. Contains 92 pieces including: 3 solid brass rods for shotguns; 3 solid brass rods for rifles and pistols; universal handle; nylon cleaning brush; 2 solid brass adapters for shotgun brushes/mops and rifle/pistol brushes/mops; 11 brass wire brushes to fit 12 gauge, 20 gauge, 410 gauge, 50 cal., 45 cal., 40 cal., .22 cal., 17 cal., .357/.38 cal./9mm, 30 cal. and 270 cal. ; 6 mops to fit 12 gauge, 20 gauge, 410 guage, 50 cal., 357/.38 cal./9mm and .22 cal. ; 2 plastic slotted ends for Shotguns and Rifles/Pistols, 50 3" x2" cleaning pads, 13 piece Solid brass cleaning jags: 17, 22, 6mm, 25-6.5mm, 270-7mm, 30-32, 8mm-338, 35-9mm 375, 40-416, 44, 45, and 50 cal. 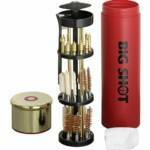 Includes Gun Shell Storage Case with Stainless Steel Lid. This is a great gift for the sportsman who has everything. 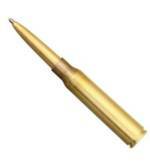 The .338 bullet pen is 3 3/4" overall, has a gold finish aluminum body and uses black ink. It uses a Fisher pressurized refill. The pen stores inside a cap that is an actual 338 LAPUA Mag Shell casing. Comes gift boxed. 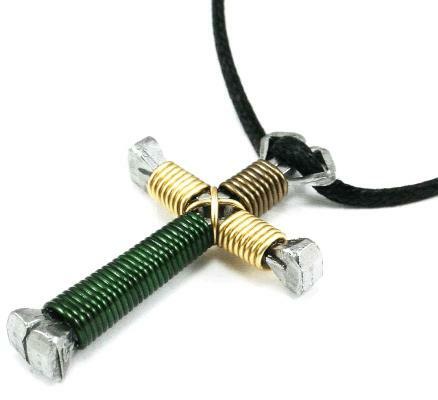 You can show your faith while in the woods or on the streets with this good looking camo-colored horseshoe nail cross necklace. Adjustable leather like cord necklace. Have you ever gotten that trophy down when you were alone and couldn't figure out how to get a good picture of you with the animal? 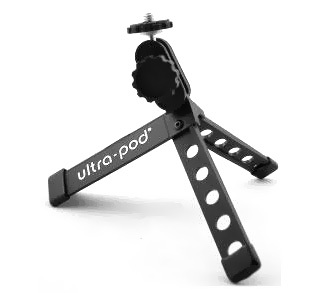 This lightweight and compact tripod with fold-out legs and non-slip vinyl feet can take care of your problems when you are in that predicament. You can set it on a rock or the ground or strap it to a tree limb to set the timer to capture that moment of a lifetime. Position the camera at any angle with U-ball and socket mount assembly. The removable Velcro "one wrap" strap allows attachment to posts, tree limbs, railings, pack frames, or any sturdy object. Weighs two ounces and folds down to four inches for easy packing. Use with small cameras, camcorders, or optic scopes. 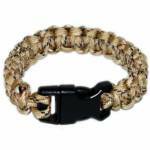 This military paracord survival bracelet is hand woven from military spec, 300-lb. paracord. Each bracelet offers strong ABS side-release buckles and fits wrists up to 9" in circumference. The bracelet can be unwound in survival situations to produce more than 9 feet of usable survival cord. It could be used for shelter building, splint building, spear lashing, building animal snares and many other tasks.